IFG provides short-term working capital to small businesses by purchasing selected invoices at a discount. Invoice discounting is sometimes referred to as ‘spot factoring’. IFG provides short-term working capital to small businesses by purchasing selected invoices at a discount. IFG 50/50 Franchisees work primarily with small, expanding companies that find it difficult to attract conventional funding. IFG 50/50 Franchisees earn an above-average return on their working capital. IFG Clients can convert an invoice, due in 30 – 45 days, into a “cash-on-delivery” sale, and that means immediate cash for them! 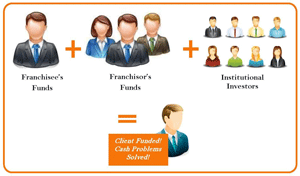 IFG 50/50 franchisees only do transactions that are syndicated 50/50 with IFG, the franchisor, and that means less working capital required to fund transactions. IFG does the bulk of the due diligence and the ‘paperwork’ for the transactions; and IFG 50/50 franchisees will concentrate their efforts on building the referral relationships – they do the ‘people work’. A very innovative leverage program has also been introduced to allow franchisees to grow their capital even faster, effectively using ‘other people’s money’. Unmatched Franchise Opportunity for you! 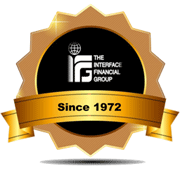 IFG has been in the invoice discounting business since 1972, and is a market leader providing an alternative funding source for small business with its in-demand financial service. With over 40 years of experience in the business, Interface provides franchisees with a proven system, thorough training, a comprehensive risk management program and a management team with 400+ years of combined financial service experience – just a call away! A strong business background – the ability to grasp financial issues is an important ingredient for success. However, it is not a requirement that IFG franchisees have a background in finance — a strong business background is the “foundation” of a successful IFG franchisee.